Scotland is a magical place in the Autumn, typically "jumper weather" with the changing colour of the leaves — Autumn truly is a special time. It's also a great time for visiting, or having a wee break within Scotland, so here's a few ideas to inspire you. 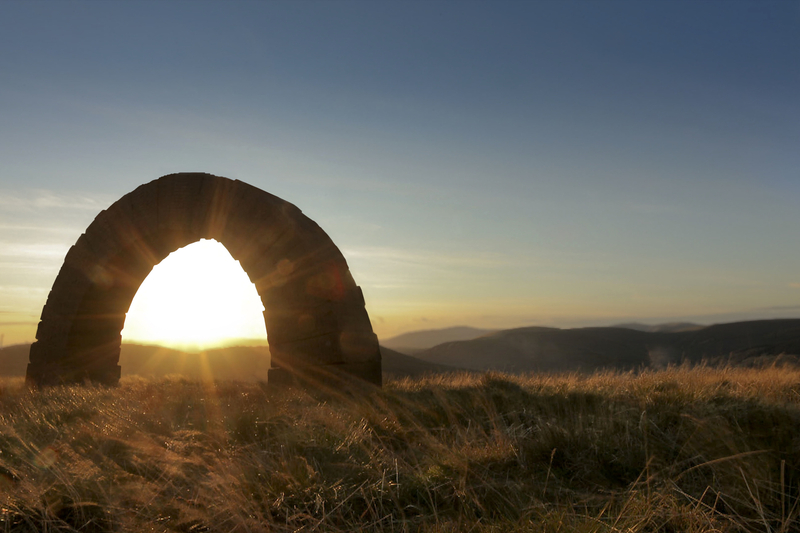 Why not have a look around and see if you can spot the famous Striding Arches by Andy Goldsworthy or Charles Jencks' Crawick Mulitverse. When exploring Dumfries and Galloway, you can lodge up in Dumfries, Lockerbie, Sanquhar, Thornhill and various other places - you're spoiled for choice! You can also treat yourself to the amazing Dark Sky Observatory in Galloway Forest Park. 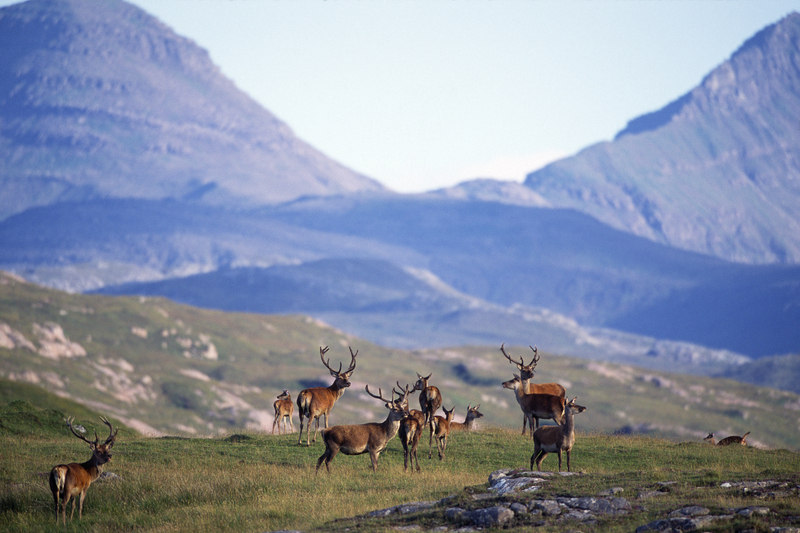 This is the perfect trip away for outdoor enthusiasts and animal lovers, Rum is a National Nature Reserve and is home to around 900 red deer. You can see the males locking antlers as the autumn is the height of mating season. There are various walks that you can tackle on Rum as well, if you're lucky, you'll see some Rum ponies and goats! For places to stay on Rum, have a look at this website to see what is available for this Autumn. 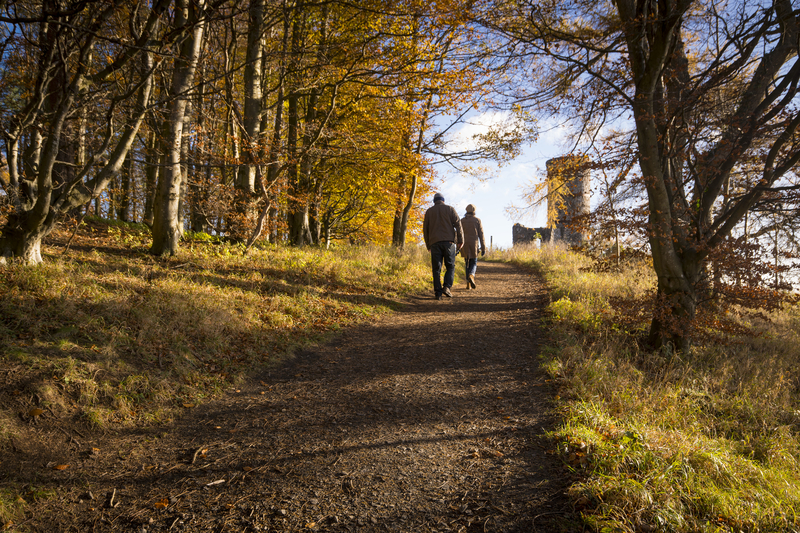 Wander through the ever changing colours of the leaves on the Lady Mary's Walk that takes you along the River Earn or climb the Knock of Crieff to take in some breathtaking views. There's also the annual Drovers' Tryst Walking Festival and Pitlochry's magical Enchanted Forest. 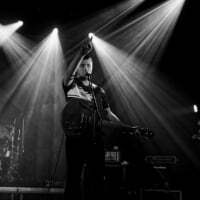 Have a look here to see where you can hit the hay in Perthshire. Where's your best recommendations for autumn breaks in Scotland?